Firoz Haider is a dance artist, dance master, choreographer and social activist. He has been trained in Classical Ballet, Modern, Contemporary, Jazz and Hip Hop. His exposures and education with topmost dance companies in the world like Netherlands Dans Theater, Alvin Ailey American Dance Theater, London Contemporary Dance School, Trinity Laban Conservatoire of Music and Dance, De Dutch Dont Dance Division, Fontys Dans Academy and also various world dance festivals has introduced him to the vast field of dance and movement arts for new possibilities and inspired him to create his own company called India Dans Theater. Firoz Haider has got the opportunity to perform the repertoire of Martha Graham, Jiri Kylian and Hans Van Manen of Netherlands Dans Theater in recent years. He had also participated in Fontys Dans Festival, The Netherlands and Impulstanz Festival, Vienna, Austria. 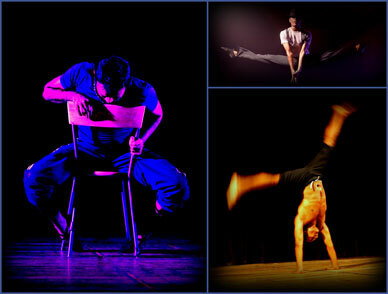 Firoz Haider is persuing Master of Arts in Dance from AUD, Delhi. He is a dance graduate from Broadway Dance Center, New York. He is also trained in Indian form of martial arts like Chhau and Kalari. His repertoire have been created with amazing amalgamation of Western dance forms with Indian traditional dance movements to pioneer contemporary dance in India. He has choreographed for various festivals, events, (1000 days Countdown to CWG 2010), commercials, short movies, colleges & schools. Academically, Firoz Haider is also a graduate in Social Work. He has been creatively involved with various non-governmental organizations like Kalakar Trust, CRY, Butterflies, Youthreach, Red Earth, Kutumb, Vidhya, Amar Jyoti, Salaam Baalak Trust, Umang, Ssrishti, Casp Plan, SOS, Savera Foundaton and many more has given opportunities to those equal capable children to learn and perform dance on different occasions. He has started his own charitable trust called FIDA FAMILY in order provide a solid platform for underprivileged and street children to make dance as their livelihood. 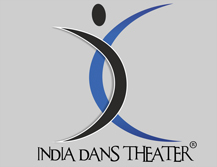 In recent time (2014 - 15), Firoz Haider has travelled to United States and trained with various world renowned dance schools and companies (Broadway Dance Center, Martha Graham School of Contemporary Dance, Peridance Capezio Center, Alvin Ailey American Dance Theater, Movement & Research, Millenium Dance Complex, Movement Lifestyle, Debbie Reynolds Dance Studio, Edge Performing Arts Center) in order to gain more knowledge and explore what is happening in dance. • Performed in various movies including U Me AUR HUM, DHOOM and SOCHA NA THA. 71 nations at India Gate, New Delhi, India. Firoz Haider has also choreographed a documentary movie called “KAASH“ on Thalassemia. Currently Firoz Haider is working hard to uplift the dance standard in India. His goal to create oppurtunities for individuals to choose dance as their career is the prime focus.